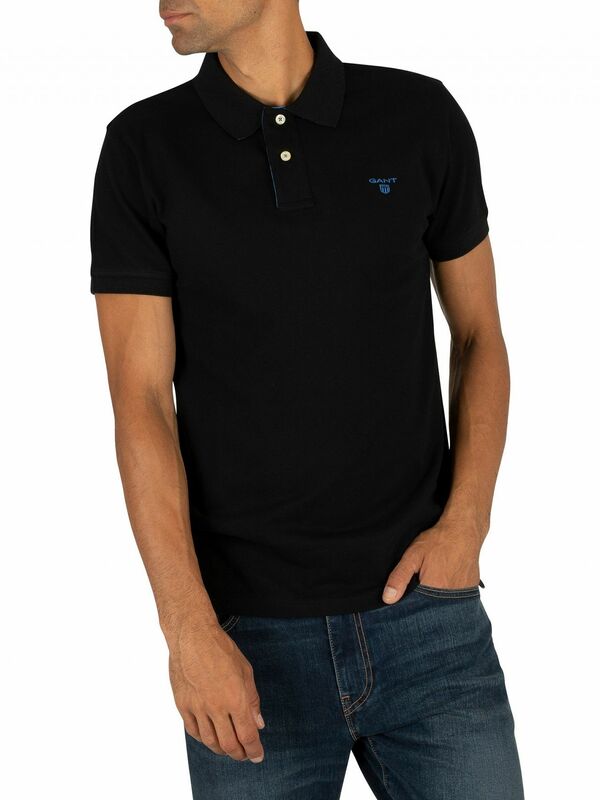 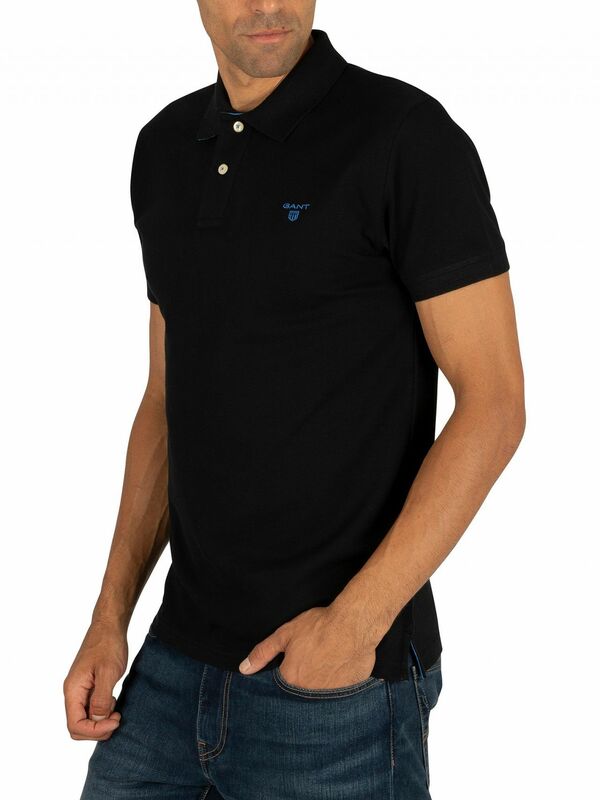 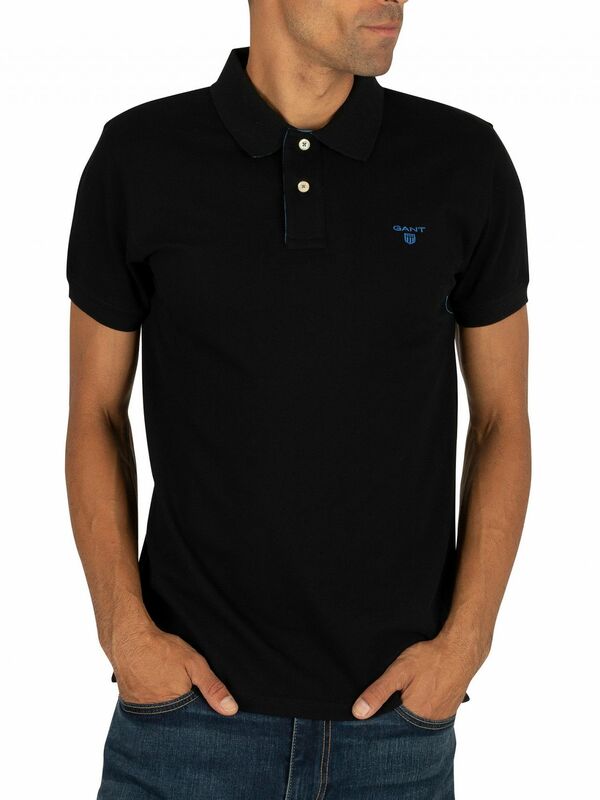 From Gant comes this black Contrast Collar Pique Rugger Polo Shirt. 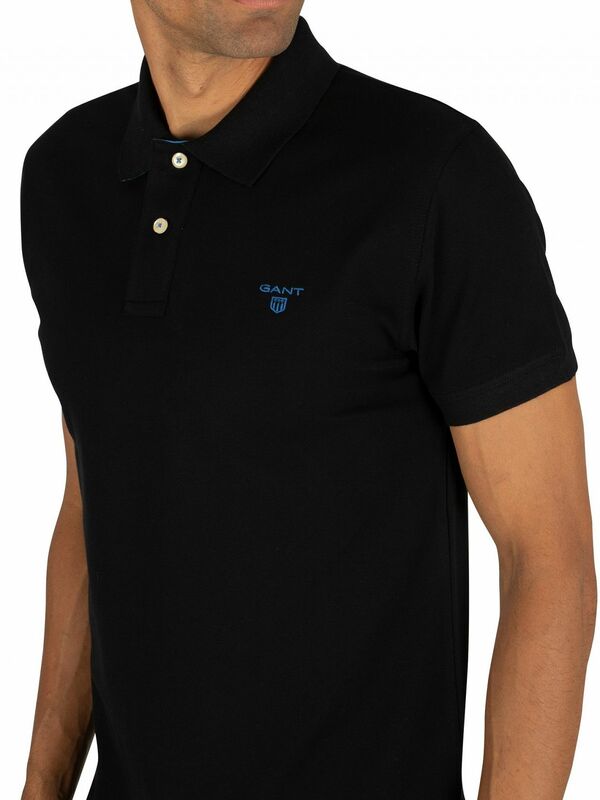 Featuring a two-button placket and side slits, this polo shirt has brand detailing to the left chest. 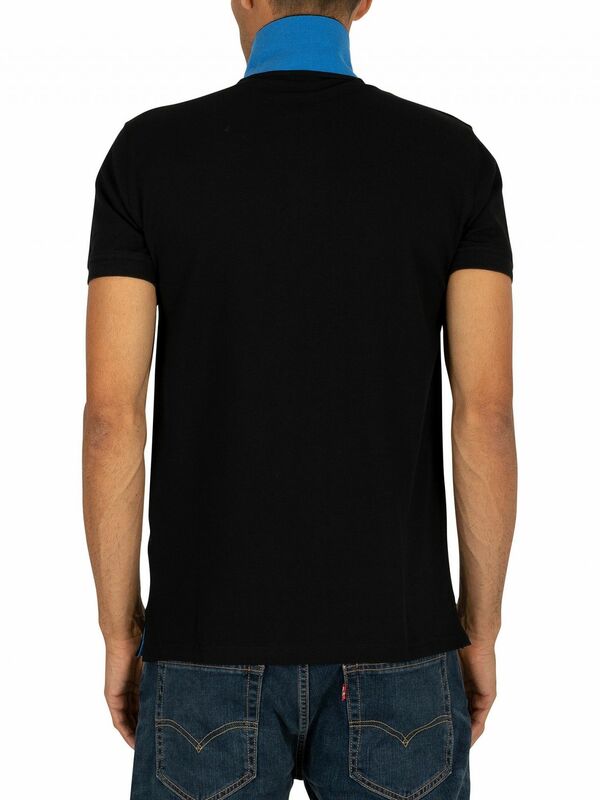 The shirt also sports short sleeves with ribbed cuffs and a spread collar with a contrast underside.